At Junior Grammar we focus on your child in every lesson, every day. We foster an ‘I can!’ attitude that leads to greater success in learning. 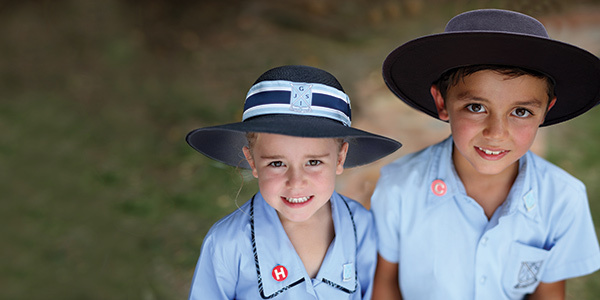 Our dedicated teachers guide our boys and girls through an academically rigorous but fun and engaging curriculum, designed not only to achieve high quality academic experiences but nurture resilience, respect and responsibility. Warm and vibrant classrooms foster a safe environment where your child can thrive. Classroom behaviour is well managed and our boys and girls have opportunities for extension, or learning support, as they navigate through their learning adventure. At Junior Grammar, your child won’t slip through the cracks. Our positive, personalised approach to learning includes an Individual Academic Learning Plan for each and every one of our students. Your child’s Individual Academic Learning Plan is crafted from a range of standardised tests and classroom observations that identify areas of strength and areas for improvement in their knowledge and skills base. 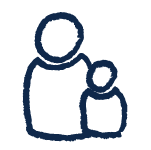 The Plan is shared with your child, and you as parents, so we all work as a team to support your child as they progress and reach their learning goals. Regular monitoring ensures early identification of learning difficulties and gifted and talented behaviours, so learning and programs can be tailored to ensure your child is moving forward and achieving their goals. 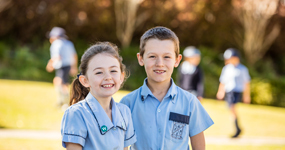 Junior Grammar employs specialised teaching staff to provide our boys and girls with individualised learning and support where needed, and work closely with classroom teachers to facilitate positive learning outcomes. 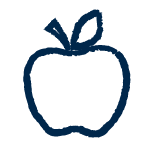 Our Extension and Learning Support opportunities benefits your child’s whole class as students can continue at a regular pace with little disruption from our boys and girls who need extra help or stimulation. 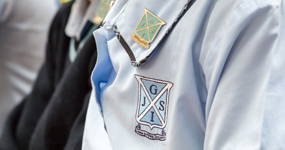 At Junior Grammar, your child has an extensive range of opportunities and resources to help them realise their true potential despite any challenges. 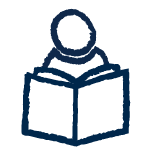 One-to-one support and a dedicated Learning Support teacher guide our students in need of extra help with literacy and numeracy skills and develop how-to-learn strategies. The child, their parents and teacher form a strong learning team and parents are provided with ideas for how strategies can be practiced and reinforced at home to boost their effectiveness. Our boys and girls are challenged and extended through our rigorous academic curriculum and extensive range of intellectual co-curricular activities. For boys and girls needing greater academic challenges we stream some daily classroom activities — placing the children in smaller groups based on general ability— to develop each individual’s true potential. We also have mixed-ability group activities so the children can learn different learning strategies from each other. 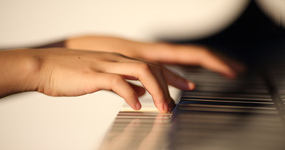 Additional learning and support opportunities for Gifted and Talented students, such as participation in Days of Excellence Programs, are provided. Digital technologies offer your child huge learning potential. At Junior Grammar we encourage all our boys and girls to become empowered learners in an increasingly social and digital world. Our integrated e-learning opportunities are enhanced with a dedicated Junior Grammar Computer Lab and interactive whiteboards in each classroom. The School provides classroom sets of iPads and laptops in the younger years and facilitates a 1:1 laptop program from Year 4. Through our Bright Sparks Workshop, we offer the latest in digital, robotics and virtual reality technology with extensive resources including BeeBots robotics, virtual reality and green screen play. All our students, from Prep to Year 6, learn skills in robotics and coding to encourage the embedding of our E-STEAM program as part of a balanced curriculum. Ready access to technology means our boys and girls are highly engaged in learning and more creative in the work they produce. We also host regular cyber safety workshops for both students and parents.